A lavish book devoted to the most important political satire and cartoon magazine in American history. 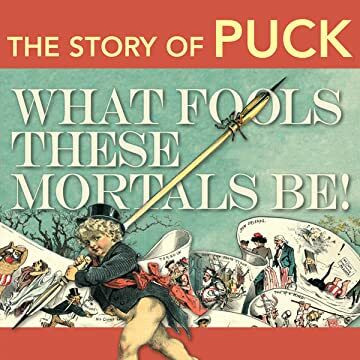 Published from 1877 to 1918, Puck was regularly a major political battleground and is credited with single-handedly thwarting the third-term ambitions of Ulysses Grant in 1880 and electing Grover Cleveland to the presidency in 1884. 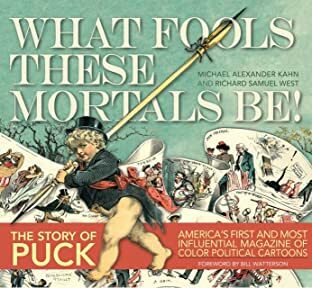 Puck did it with art-lavish, color, full-page and two-page center-spread cartoons. It was the first American magazine to publish color lithographs on a weekly basis and, for nearly forty years, was a training ground and showcase for some of the country's most talented cartoonists, led by its co-founder, Joseph Keppler. This retrospective contains nearly 300 full-color plates.